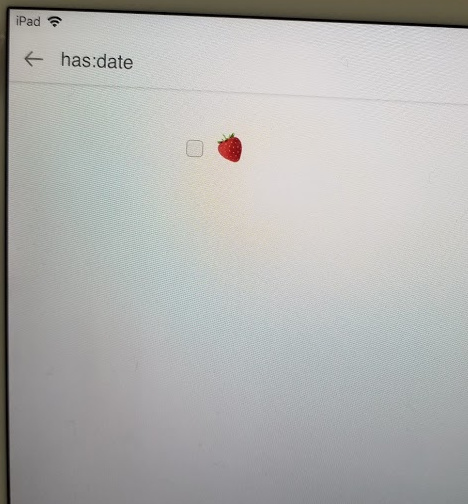 On desktop and android app the dates are formatted correctly and show up in search. It’s only when I view the document in the iOS app that the problem occurs. 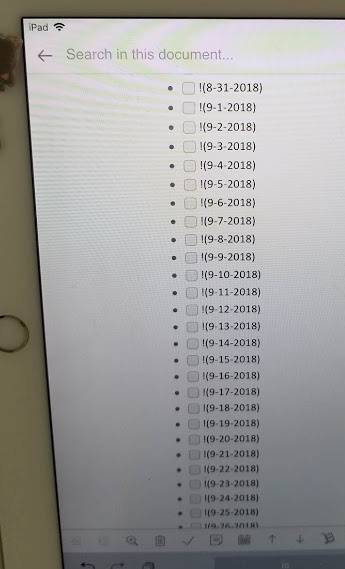 If I make a new document it works fine in that document. 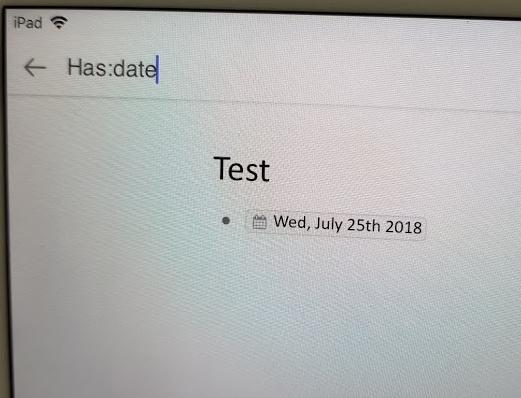 Date markdown is ! 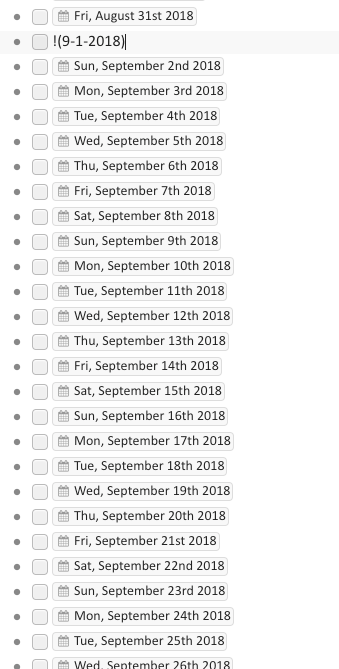 (2018-09-01), not !(9-1-2018). How did you generate those? If the format is not exactly right, it won’t be recognized. Anyway, recreating them should be easy with that tool. Good luck!